Dan Pasquale is a Senior Reactor Systems Engineer in the NRC’s Office of New Investigations. He serves as the Agency’s Subject Matter Expert on Counterfeit, Fraudulent, and Suspect Items (CFSI). Dan was instrumental in developing the agency’s current CFSI program, first as a member of the NRC’s technical staff, and more recently as a technical advisor to the Director, Office of Investigations. In December 2017, he become the NRC’s first employee to be certified by INTERPOL’s International IP Crime Investigators College (IPCIC) for “Investigations of Transnational and Organized Intellectual Property Crime.” He is a member of the U.S. Critical Manufacturing Sector’s Government Coordinating Council (GCC), a member of the U.S. Critical Infrastructure Protection Plan Communities of Interest for the Energy Sector, and for the Nuclear Reactors, Materials, and Waste Sector. He is a member of the Government Advisory Group for the Government-Industry Data Exchange Program (GIDEP), the GIDEP Representative for the NRC, and is an active advisor to the Department of Homeland Security’s National Intellectual Property Rights Center. 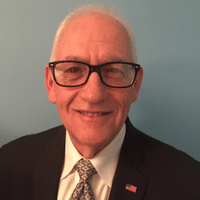 Prior to joining OI, Mr. Pasquale supported various technical staff positions within the Agency including the Office of Nuclear Reactor Regulation’s Operating and Construction Experience Program and as a qualified lead vendor inspector for the Office of New Reactors. Prior to beginning his public service with the NRC in 2007, Mr. Pasquale had completed 26 years in the commercial nuclear power industry, working with both Exelon Nuclear Generation and Stone & Webster Engineering Corporation where he held positions as a NUPIC Lead Vendor Auditor, Procurement Engineering Supervisor, Project Manager, and Start-up and Test Engineer. He has held a Certified Production and Inventory Management certification (CPIM) with APICS, and a Certified Purchasing Manager (CPM) certification with the Institute of Supply Management (ISM). Mr. Pasquale graduated from Massachusetts Maritime Academy with a B.S. in Marine Engineering, and sailed as a licensed Engineering Office aboard U.S. merchant vessels.